Seven columns, or stacks of lettered balls - remove a ball and the others above it will drop down in its place. Your task is to remove one ball from each column so that when all the other balls drop down, they will spell out six words reading across. What are they, and what word will be spelled out by the seven balls you remove? From the given clues, in no particular order, find the five 5-letter answers. Fit each answer into one of the five rows of dots so that every same-coloured dot contains the same letter. What is the seven letter word? The classic word puzzle to keep your readers coming back every day. 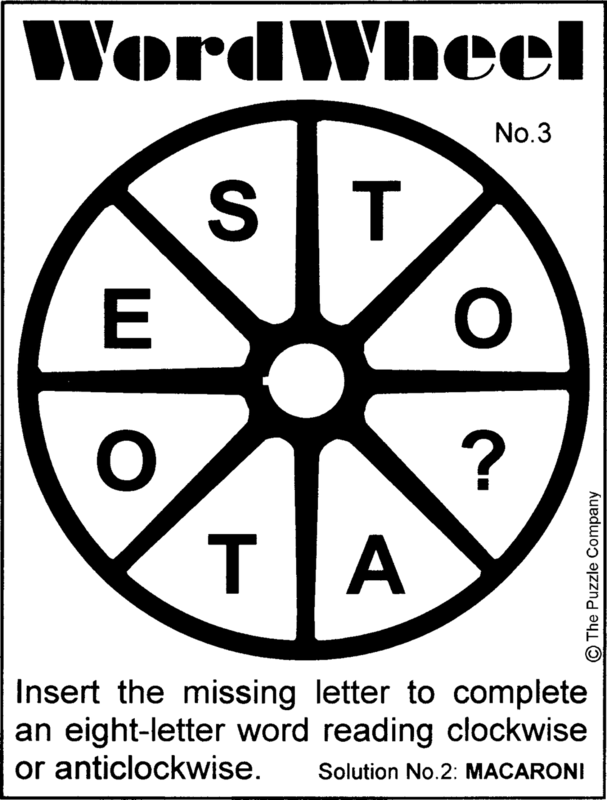 Work out which letter to delete from each square to make a word and complete the puzzle. ©The Puzzle Company. Dist. Knight Features. All Rights Reserved. We have removed all the black squares from this crossword grid and replace them with letters. Can you black out all these surplus letters to reveal the correctly filled crossword grid pattern? Arrange the letters of the word above each grid into its empty squares to create six five-letter words, three across and three down.